 Crete, the 5th biggest Med Island, lies in the southern frontier of Europe. Combines mountains and sea, the new alongside with the old and ancient with contemporary history. Transfers Crete do reliable transfers all over Crete island. Either if your arrival point is the airport of Chania or Heraklion we will pick you up and in the comfort of our limousines or mini buses and we will take you to your final destination with comfort. For us at Transfers Crete comfort and quality of transfers are two very important elements. Knowing that all our guests after a flight and probably not having slept well the previous night as many flights arrive early in the morning might be very tired or in an uncomfortable situation. Quality transfers are very important for all our guests but especially those with little kids. We all know how tiring is to travel with kids.